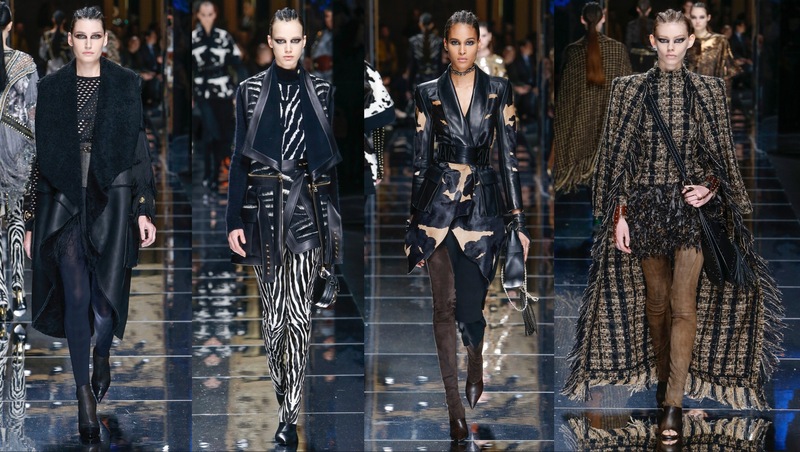 I was in Barcelona, Spain studying Fashion Styling and Advertising when I fell in love with the luxury brand Balmain. Since then, I’ve always been aware of each collection especially since 2011 when the talented Olivier Rousteing was named creative director of the brand. Let’s talk about Olivier’s “Amazon Army” for Fall 2017. 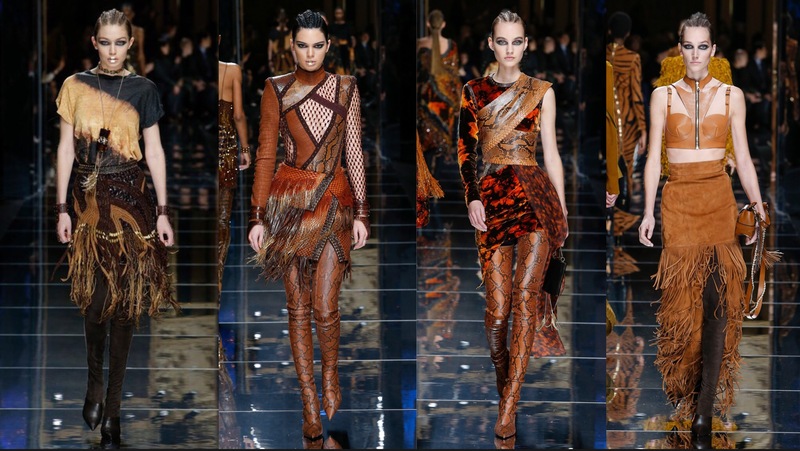 The designer showed us on Paris Fashion Week a warrior who love Olivier’s iconic super-constructed pieces and mini skirts. 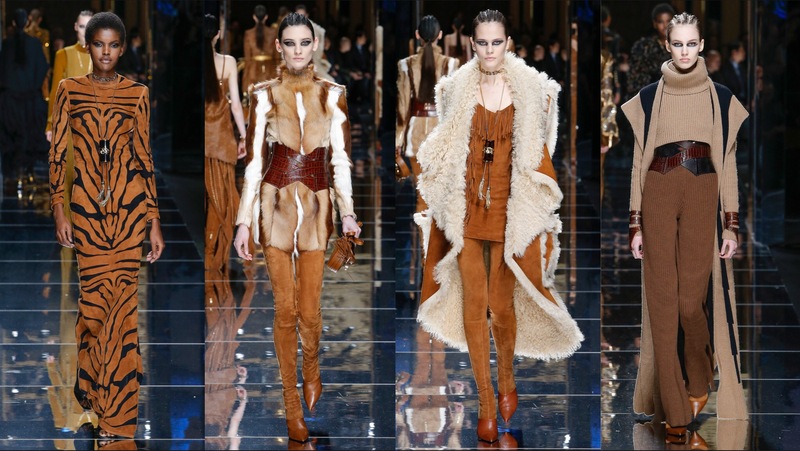 Long legging boots, animal print, tie-dye finish, big shearling vest and coats and suede fabric in a shade of black, brown, gold and tan. I love all the neutrals! So fun and stunning!